Hot on the heels of last month’s intervention ‘Defending Future Commons: The Gezi Experience‘ by Ozan Karaman, we’re pleased to present Ayda Eraydin and Tuna Taşan-Kok’s recently published paper ‘State Response to Contemporary Urban Movements in Turkey: A Critical Overview of State Entrepreneurialism and Authoritarian Interventions‘. As Ayda and Tuna explain, their paper looks at state’s authoritarian response to urban social movements in Turkey. Increasing entrepreneurial and authoritarian state interventions in urban development has been part of the urban political agenda in the last decade during conservative centre right AKP (Justice and Development Party) government in the country. The government needed high rates of economic growth in order to legitimise the socio-political and institutional change it was striving for: re-engineering the conservative value systems in society and in the state apparatus, consistent with its strong religious rhetoric and explicit Islamist roots. The government has been acutely aware of the importance of the urban land and property market as a source of financing for economic growth. It is clear that a political project to initiate a new socio-political order and advocate a conservative social agenda necessitates a strong state. Thus, in order to manipulate the growth process, the government has been changing its position abruptly, shifting from decentralisation to centralisation, providing certain rights to municipalities and giving some back to central government. The article shows that neoliberal economic agenda can be adopted in different types of statehood — from dictatorships and military governments to democratic regimes — creating different neoliberalisms around the world (Hilgers 2012). But this agenda could also entail transforming society in the direction of less tolerance of diversity and alternative ideas and lifestyles. The article contributes to the Loic Wacquant’s (2012) argument that neoliberalism is not only an economic project, but it is also a political project, which differs substantially among geographical contexts and related socio-political cultures, thereby producing variegated forms of institutional governance and capital accumulation. With several examples of urban practices, the article shows that the state embarked on a new political project in Turkey. It has become the main actor in urban practice by forming different coalitions to achieve and legitimise a socio-political transformation. This project is an effort to reassert conservative value systems, increase religious practices, and encourage democratisation in certain fields but authoritarian attitudes in others. The result is the emergence of new partnerships between the state, the market, and the citizens, which not only disregard the aspirations of others but place restrictive measures on them. Contrary to debates on the strong role of cultural elites in governance arrangements, the article points to increasing exclusion of former elite, disadvantaged groups, and minorities in favour of the newly emerging socially conservative, economically liberal groups known as conservative elites in Turkey. That explains the very recent urban movement comprised of different groups that feel their lifestyles and quality of life have been deeply threatened by these policies. 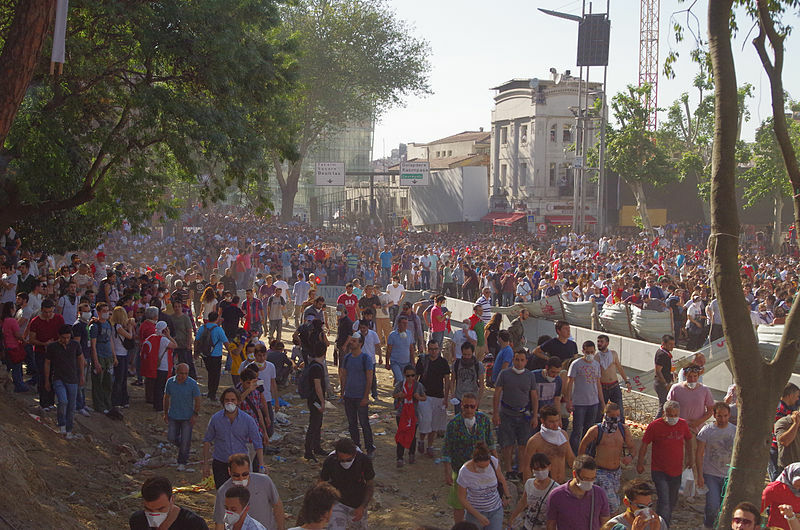 In May 2013 the peaceful protest against the plan to destroy a park (Taksim Gezi Parki) in centre of Istanbul to create a shopping mall was suppressed by the excessive police force. This was actually the ‘last drop’ that initiated a massive social response all around the country, turning the movement against existing authoritarian government, which increasingly intervened to individual life styles of diverse groups and brought restrictive measures in personal rights and choices. At the time of writing this reflection – July 2013 – the resistance movement has been still continuing, and unfortunately the government has not been able to understand the demands of urbanites for more freedom. This paper defines ongoing changes in urban policies and practice, and explores the roots of contemporary urban movements consisting of young intellectuals, leftist groups, socialist Muslims, liberals, and many others who are united against what is going on in Turkey’s major cities. Ayda Eraydın is a professor in the Department of City and Regional Planning at the Middle East Technical University, Ankara, Turkey. Tuna Tasan-Kok is a lecturer in the OTB Research Institute for the Built Environment, Delft University of Technology, Delft, The Netherlands. Ayda and Tuna’s co-edited book, Resilience Thinking in Urban Planning, was published by Springer in 2012. 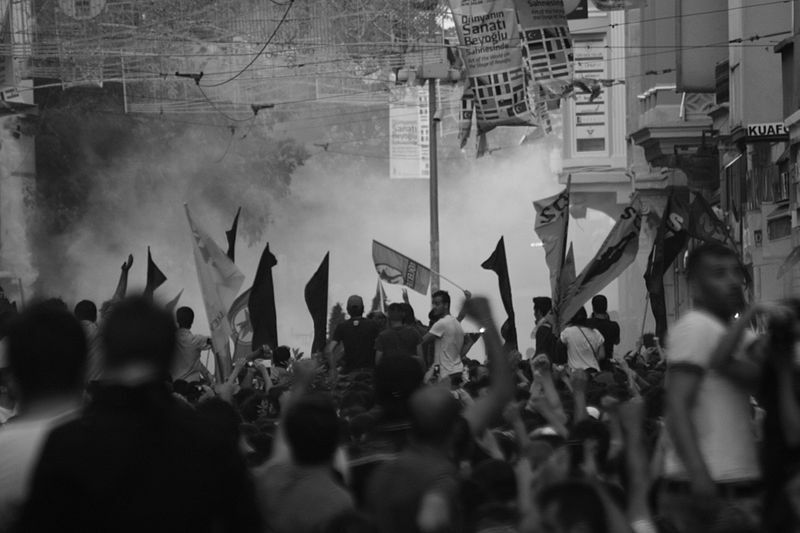 This entry was posted on 20 September 2013 by Antipode Editorial Office in Interventions and tagged Istanbul, neoliberalisation, policing, regulation, social control, social exclusion, state authoritarianism, state entrepreneurialism, the state, Turkey, urban policy, urban social movements.